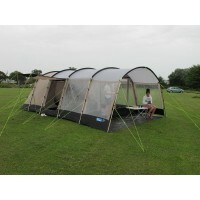 We asked Vango to take their highly successful Vango Calisto 600 tent and add an extra front panel to create a 6-berth tent with a huge living area that would rival most of the popular, large steel framed tunnels on the market. 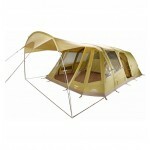 So was born the Vango Calisto 600 XL which has the construction and proportions of an Outwell Montana 6 but comes in at half the price. 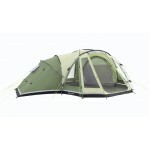 The Vango Calisto 600 XL is constructed using Power Plus steel poles, a Protex 3000 Polyester flysheet (3000mm hydrostatic head protection) with taped seams and a fully sewn-in polyethylene (10,000mm HH protection) groundsheet. 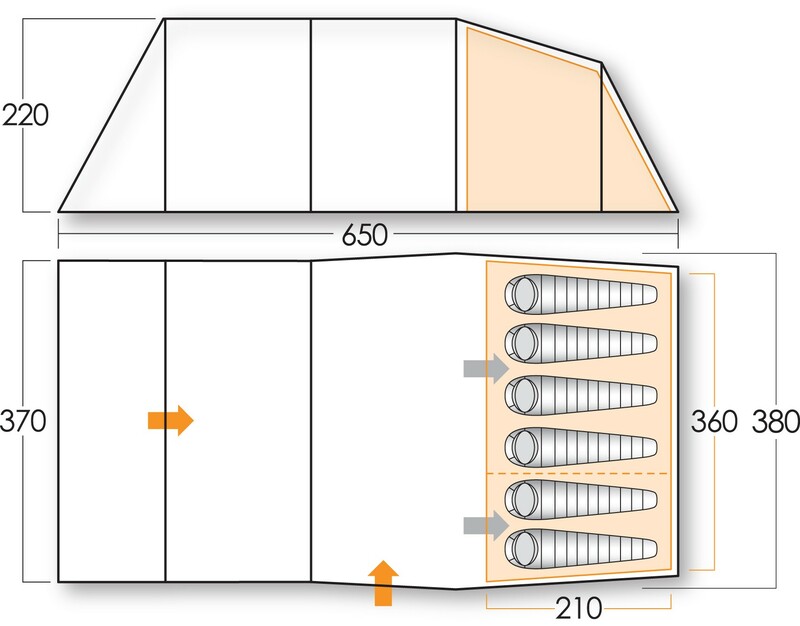 The layout of the Vango Calisto 600 XL tent features a 6-berth (4+2) inner (with roll back divider) with part mesh door, a large side 'D' door with mesh double door and step-in sill, large window on the opposite elevation and a cavernous front step-in 'D' door which rolls to one side for neatness and ease of entry. 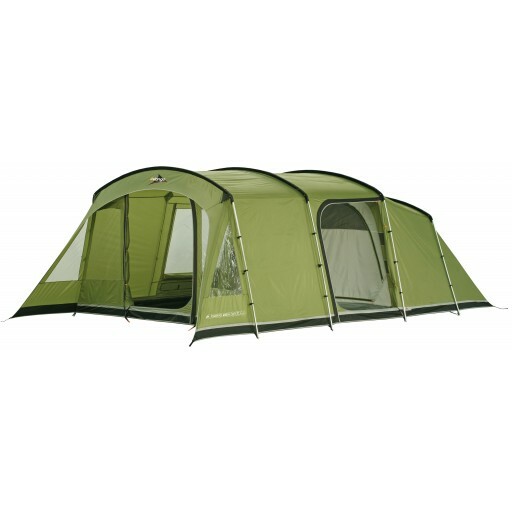 You can also add the standard Vango Calisto Front Canopy to the front of the Calisto 600XL to create an even large tent with acres of front storage/living space. 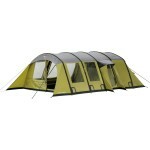 Specially commissioned Vango carpets and footprint groundsheets are also available for this tent. 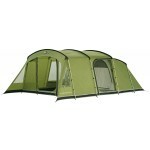 Vango Calisto 600XL Tent - Limited Edition.